We offer a full line of window blinds for your home or business including wood blinds, faux wood blinds, horizontal and vertical blinds. Engineered to withstand excess moisture, Graber Lake Forest® Faux Wood Blinds and Traditions® Composite Blinds are durable and easy to clean, a practical alternative to hardwoods. 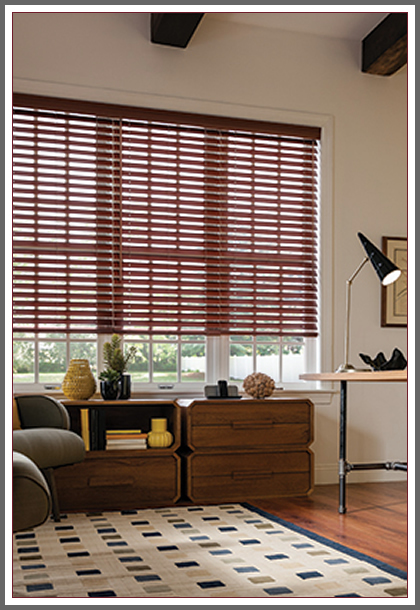 ☛	With Graber Traditions® Composite Blinds, you get the look you want with the strength and resilience you need. Composite blinds combine the extraordinary look of wood with extra durability, making them a perfect addition to high humidity areas such as kitchens, bathrooms, or laundry rooms. Where traditional wood blinds are not recommended, these perform beautifully. 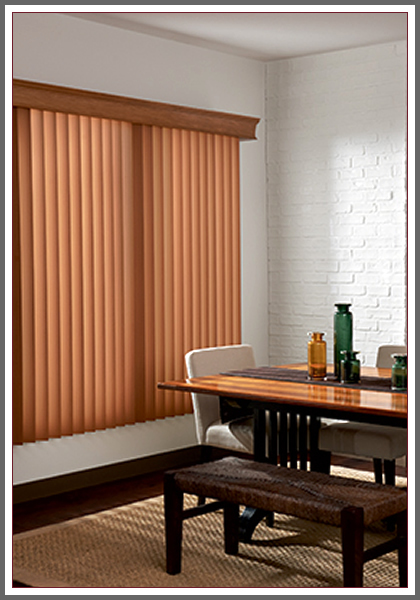 The most versatile of all window treatments, Graber Horizontal Blinds provide excellent privacy and light control, as well as a wide selection of color and design choices. 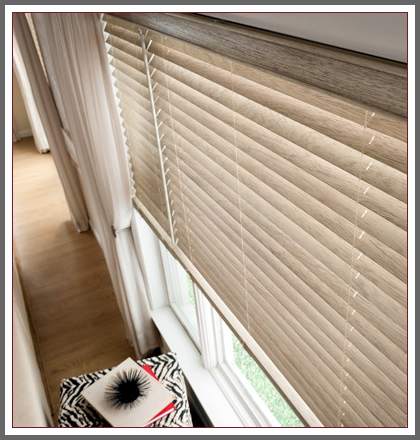 Sophisticated Graber Vertical Blinds give patio doors and large windows drama and dimension. Vertical fabric or vinyl louvers form a perfect top-to-bottom solution. 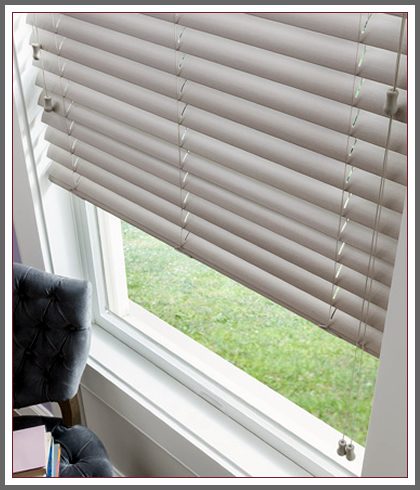 Sophisticated Graber Vertical Blinds give patio doors and large windows drama and dimension. Fabric, sheer, or vinyl louvers form a perfect top-to-bottom solution. Use them to make a bold color statement, match an existing color in your decor, or continue the look of your Graber Horizontal Blinds, simply on a grander scale.